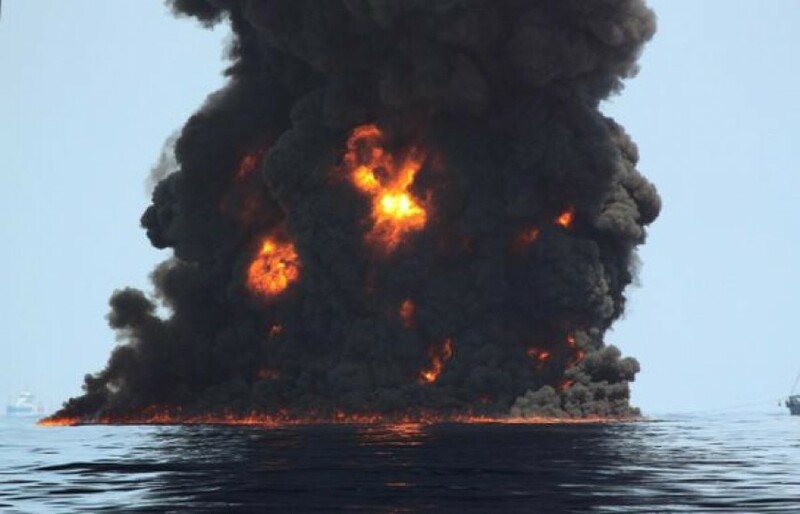 11 dead, 206 million gallons of oil and untold gallons of toxic, chemical dispersant spread through miles of Gulf water — surface to depths unknown. 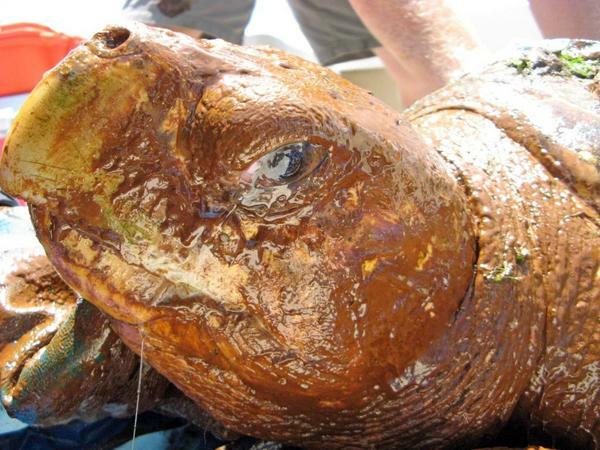 Kemp’s ridley juvenile oiled in 2010 Deepwater Horizon oil spill. 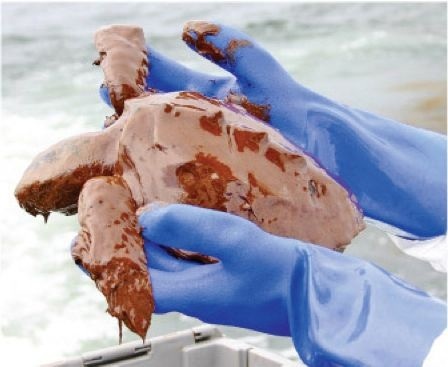 Sea turtles are just one species affected by the 2010 spill. How many died, their bodies never found to count? How many are ill or have reproductive problems that remain undetected? How many people have or will develop health problems because of exposure? We’ll probably never know without pressing to find out. 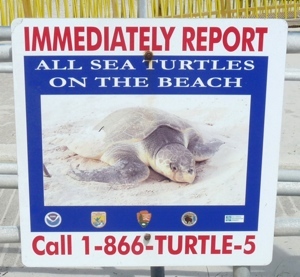 It’s hard to argue the Deepwater Horizon disaster isn’t still a big issue for life in and out of the Gulf — for wildlife and humans. The second year reports are just beginning to come out and evidence of the damage is growing. 12/21/12: Winter solstice–longest day of the year, but promise of light. U.S. District Judge, Carl Barbier in New Orleans approves $7.8 billion settlement between BP and some litigants. The amount is a BP estimate, although there is no cap. The settlement “provides compensation to class members that appears sufficient” to cover their losses from the spill, Barbier ruled. Money is being set aside to cover future claimant health issues. Some Gulf businesses and fishermen contend the settlement is not enough and doesn’t take into account future potential collapses of commercial fish populations. The judge said there was no evidence of current problems that would lead him to believe problems would occur in the future. 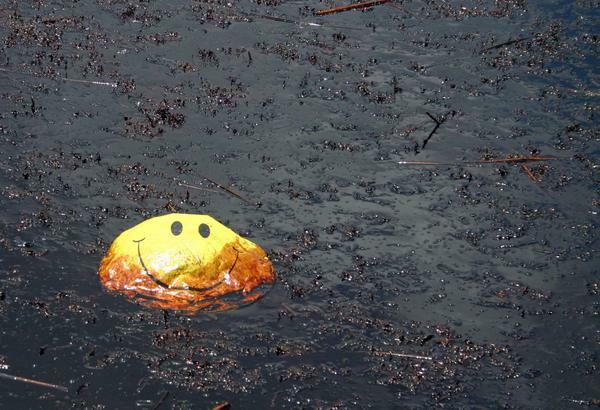 According to Bloomberg News, ” The oil company faces a potential $17 billion fine by the U.S. under Clean Water Act provisions, should it be found grossly negligent for the spill. The issue of gross negligence is set to be determined at a nonjury trial over liability for the explosion of the Deepwater Horizon drilling and the subsequent oil spill now set for Feb. 25 before Barbier in New Orleans. A slick spotted 50 miles off the LA shore in September. Slicks of varying sizes have continued to show on the surface above the capped well. On December 13, 2012, another slick appeared. Wings of Care flies the Gulf tracking life in the Gulf from the air. There is a new platform installed over the site. So far, BP and the Coast Guard are refusing to be interviewed. December 2013: Proof dolphins suffer lung disease from the 2010 oil spill. A peer-reviewed report published in the journal Environmental Science and Technology links dolphin lung disease directly to the 2010 BP spill. About thirty dolphins from Barataria Bay, La., an area hard hit in the spill, were caught, tested, and released. The results showed, “almost half had ‘a guarded or worse prognosis, and 17% were considered poor or grave, indicating they weren’t expected to live. '” A control group of dolphins off Sarasota Bay, FL, an area not exposed to the spill, showed no lung damage. The study is part of a process called a Natural Resource Damage Assessment, which could play a part in determining fines against the company. BP, which funded the study but wasn’t part of the analysis, disputes the results. “The symptoms that NOAA has observed in this study have been seen in other dolphin mortality events that have been related to contaminants and conditions found in the northern Gulf, such as PCBs, DDT and pesticides, unusual cold stun events, and toxins from harmful algal blooms.” BP spokesman, Jason Ryan.